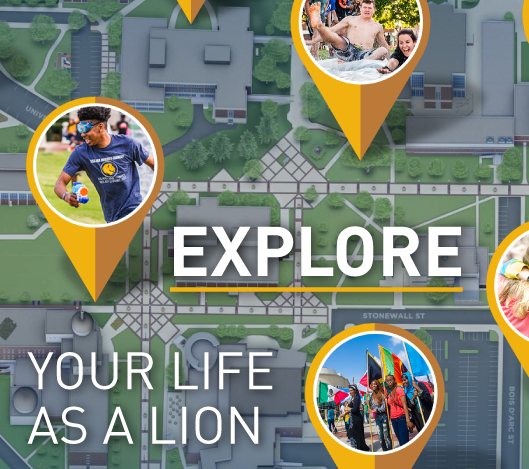 At Texas A&M University-Commerce, the Dean of Campus Life and Student Development Office is here to help students resolve concerns, problems, or conflicts with regards to University policies, procedures, and decisions. The office provides for a confidential and neutral place for students to come to express their concerns. Students work directly with staff members to identify steps that may be taken to achieve a timely and fair resolution to a problem. The office may collaborate with others in the University community regarding student concerns. The office is interested in both issue resolution and prevention in resolving both academic and non-academic concerns. Listen and discuss questions, concerns, and complaints of students about the functioning of the university, including policies and procedures, the actions of others, and unfair treatment. Assist students in evaluating and assessing a variety of options to address their concerns. Answer questions, help students formulate appropriate questions, and find others who can provide the correct answer. Make referrals to other university areas and assist in creating a helping network for students. Provide a safe and confidential setting where students feel respected and where they can be candid and forthright. Have a problem or conflict involving the University and don’t know where to go to solve it. Feel your concerns are not being heard. Need information about policies and procedures affecting you at Texas A&M University-Commerce. Believe your rights have been violated or you have not been given due process. Think that the University has made an error but has not acknowledged it. Privacy and confidentiality is a key characteristic of this office. The office makes every attempt to remain as private and confidential as possible. In most cases a student's name or the nature of the issue being discussed is not divulged without the student's consent. With the student's permission, individuals whose help is necessary to resolve a specific problem may be contacted. In the unusual situations of imminent risk of serious harm where there appears to be no reasonable option except to act without permission. Students of the Texas A&M University-Commerce community in need of assistance can voice at concern to the Dean of Campus Life and Student Development Office using the Student Complaint, Appeal, and Concern Resolution Form. The Student Concern Report Form is accessible below. This form can be downloaded, completed and turned in to the Dean of Campus Life and Student Development Office (200 Halladay Student Services) or emailed as an attachment to StudentConcern@TAMUC.edu. Students can also contact the Dean of Campus Life and Student Development Office by emailing StudentConcern@TAMUC.edu. All student concerns will be acknowledged by the appropriate Texas A&M University-Commerce employee within 10 business days of receiving the report form.